Travis Martin knows what it takes to keep Turkey Hill happy. He has been working as the Horst Construction designated project manager for the Turkey Hill convenience store chain for the past four years, helping with dozens and dozens of store remodels. Communication can really make all the difference when it comes to these types of projects. Working in a small space with a short time frame makes it that much more important for each person to know their role and have the same goals. Travis explained that there are many layers of communication necessary on these projects—at the store level, with associates and the store manager, as well as at the district, regional, and corporate levels. Being involved with the projects from a very early stage is another way that Horst can add value to the client. Because Horst often works on several stores at a time, it is very important to be involved in the early planning stages to provide a construction-specific knowledge about the timing, budget, and intricacies of store remodels. 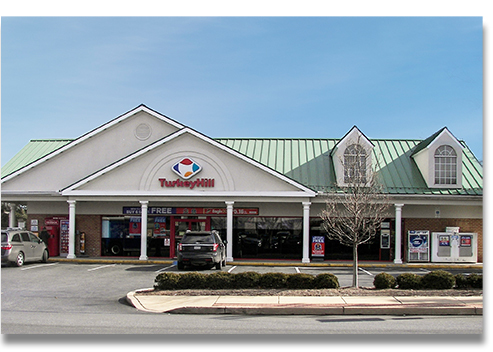 “We are lucky that Turkey Hill sees Horst as a Partner. We are able to be involved from the very beginning. They really seem to see and appreciate the value we have to offer as a construction partner,” says Travis. If you are considering a commercial remodeling project and could use a valuable construction partner, we want to hear from you. Please contact Ryan Null, Director of Special Construction Services, for more information.